It is not every day that you can find yourself in the presence of a genius. 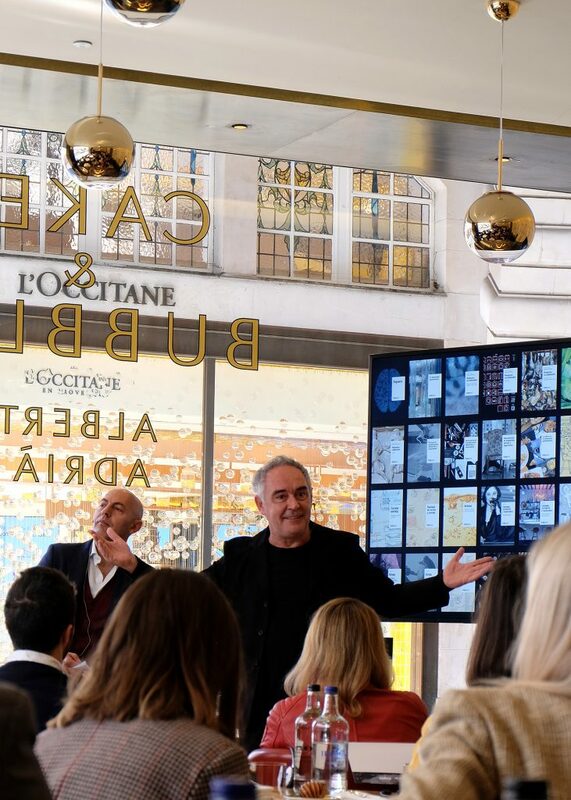 Such a thing happened a few days ago when I was invited to a breakfast event where visionary, culinary master Ferran Adrià was to give a talk on a project he’s embarked on after closing down El Bulli. The subject of his talk was his enormous current project, an encyclopaedia on all things food related, called Bullipedia, after his now closed legendary Catalunia restaurant El Bulli. With him, was also Lavazza’s UK head representative. 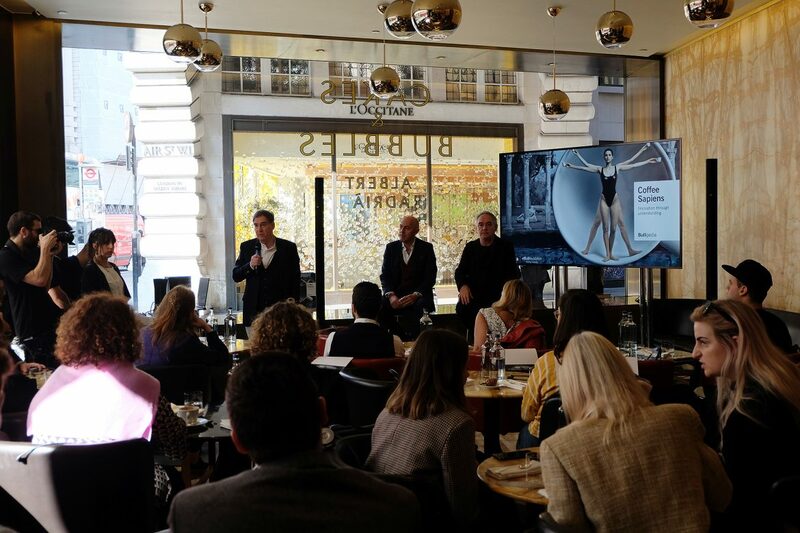 The Bullipedia project is so vast, that each of the volumes focuses on one particular aspect of the food and wine industry, and our breakfast event was co-hosted by Lavazza as they are the coffee partner of choice of 20 years for Ferran. 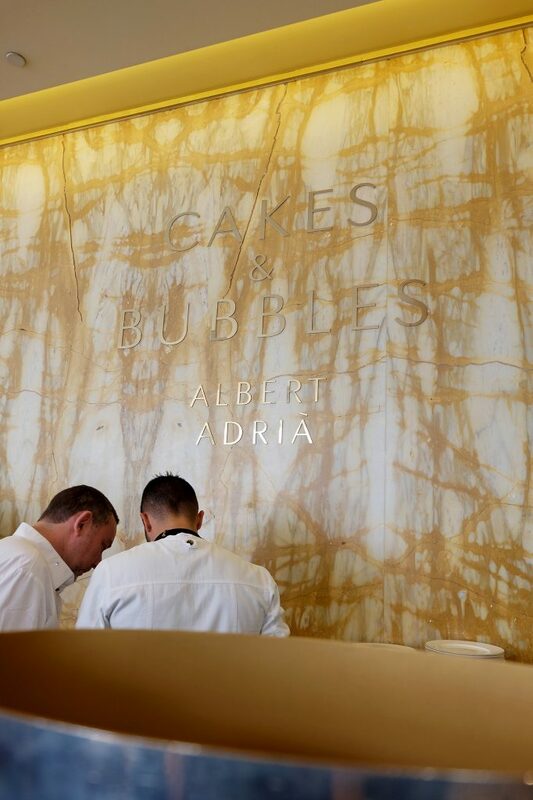 The Italian coffee producers are also present in London within a number of establishments, including the one where the breakfast was hosted, none other than Ferran’s brother’s Albert’s Cakes & Bubbles, on the ground floor of the elegant Café Royal hotel. 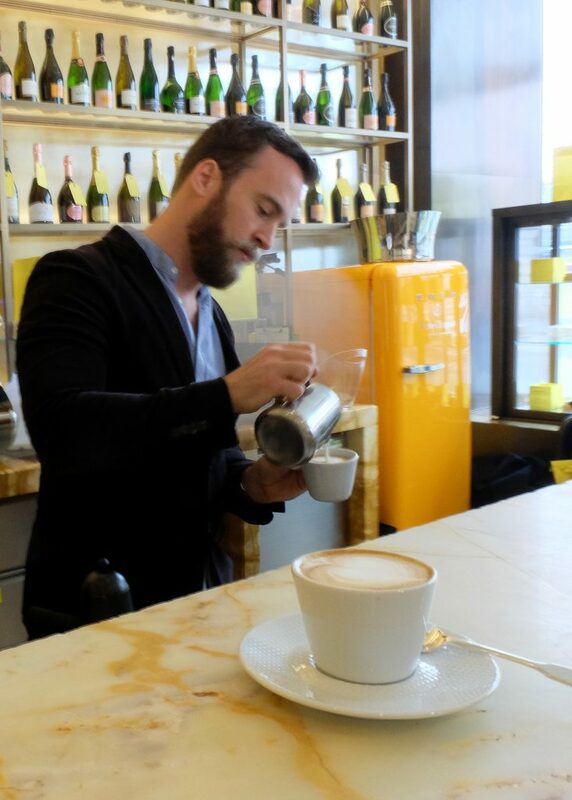 Sipping cappuccinos and pastries, there was a hush of excitement in the crowd of attendees ahead of the talk itself. We were all glancing over our shoulder at Ferran, much like a celebrity. He’s so well known and respected in the industry, that it was a true privilege to heard from him and find out more about his philosophy and his Bullipedia project. The leading role in Coffee Sapiens is played by the extended universe of coffee, which becomes a place of knowledge and debate in a book that doesn’t approach coffee only as a product, but also considers the ecosystem out of which it springs and develops, from production to end consumer. The content of Coffee Sapiens covers history, consumption, production and coffee varieties, but also industry and business, offering a 360-degree panorama analysing all the contexts in which it is found, as well as illustrating the notions needed to understand the secrets of the world of coffee, with an approach that is interconnected but orderly. 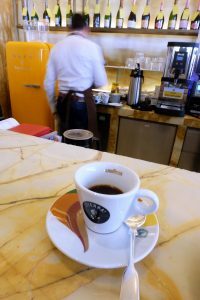 With Coffee Sapiens, Lavazza and Ferran Adrià continue to explore coffee in all its forms and methods of expression. Using the fascinating “Sapiens” multidisciplinary approach, involving the taxonomic cataloguing and analysis of food products in the world of coffee in order to provide a way to share knowledge about it, the book acts as a gateway to study the evolution of the world’s cultures, people’s habits and customs, and ongoing technological innovation. He told us about studying, learning and cataloguing the food industry and how there is a lack of focus in the academia field on the food artists such as Escoffier. His aim – with the bulliedpeia – is to change that. A guide to understanding coffee in its entirety, an integral part of our daily lives and a handbook for catering professionals looking for all-round expertise on the subject, but also a book with stunning artwork for enthusiasts and the curious. The multimedia platform gives a much wider public access to the Sapiens approach and content, turning it in practice into an open project from which everyone can benefit and that can potentially be applied to other areas of research. This is the philosophy that permeates both Lavazza and Bullifoundation: the desire to share knowledge, not least through the use of digital tools that make it immediately accessible to everyone. Coffee Sapiens is published by Phaidon Press and is available at www.elbullistore.com and www.phaidon.com and, from April 15th in the main bookstores for £100.